You can print this page by clicking on the icon above. 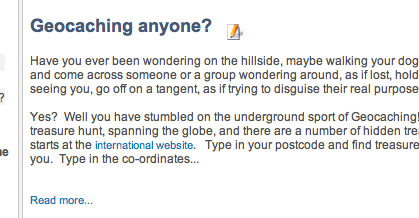 Then look for guidance below, OR post a question on the forum, OR contact the webteam for advice. contact us page . We also plan to run a simple website user's workshop one Saturday or Sunday to assist villagers get the best out of the website. 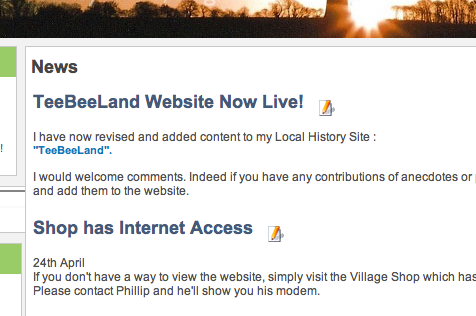 Please feel free to join in and post to this Hambledon Community Forum. The more the merrier! If you are new to Discussions Forums don't be daunted. It is quite simple. Just click on a thread to read the posts from other villagers. if you want to reply, simply click QUICK REPLY at the end of the post you wish to respond to. Type your message and click submit. You don't need to register to post here, but if people do register it does help to manage the forum and keeps it all friendly. 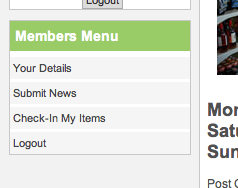 Registration also enables you to use extra features - such as notification of posts "subscribe". Please use a meaningful name for registration, or even if you are posting as a guest as this avoids misunderstandings and mis-attribution of posts. Real names would be advisable. Currently this is a moderated forum which does not require registration nor pre-checking of posts, so please do follow the normal rules of web etiquette of friendliness and civility. Quick reply - the simplest and best way to reply to a post. Reply: This allows you more options, such as highlight text, quoting parts of previous posts or posting pictures. Edit: allows you to change what you wrote. Print: you can print any post you see here. Image file to attach: you can take a image from your PC and include it in your post. Avatar: The image associated with your name - select in "My Profile"
Then you are automatically notified if posts are made to all or just one or two topics. This is a potentially powerful feature - eg: such as allowing instant notification when a shop special offers are announced on the "Village Shop" thread, or when team lists are published by a cricket club. I'll leave it up to villagers to explore the opportunities. If you want to post images in your posts then that is possible too. We will also have a dedicated photo album elsewhere on the website for Village photos. If you need any help getting to use these features, or you'd like an avatar to add to your profile, just contact me and I'll more than happy to help. 1 Prepare your photo: make sure it is 500 x 500 pixels maximum, and no bigger than JPEG 500kb file size. this can be done in iPhoto, or Photoshop or PhotoSuite applications on your PC. 2 Then go to Select Image to attach, and click Browse at the bottom of the compose Post window as you reply. Browse will allow you to find the image you have prepared in your PC's folder. 3 Click [img] - that will place that picture into the text of your post. 4 Click preview or submit. This will upload your photo to a third party host, and then supply you with a link that you can paste into your Hambledon Forum post. If you have an event to publicise then you can add directly to the Event page. It is simple to do. Once logged in, go to Events and click the "add an event" at the bottom of the calendar. Click on Calendar Tab: This enables you to set the date, and importantly the start and finish times. Pay attention to the am or pm button. disk image) and close the window. Any questions? then go to the contact us page . If you have an article or news item, then you can submit your text directly to the news page. It is simple to do. Once logged in you'll see the "Submit news link". Add a title and then select the "Category" ie the page where the article will be published - in this case "Latest News". If you would like to add bold or larger text then highlight the text, select the "MS Word" style buttons or a pre-defined Format. 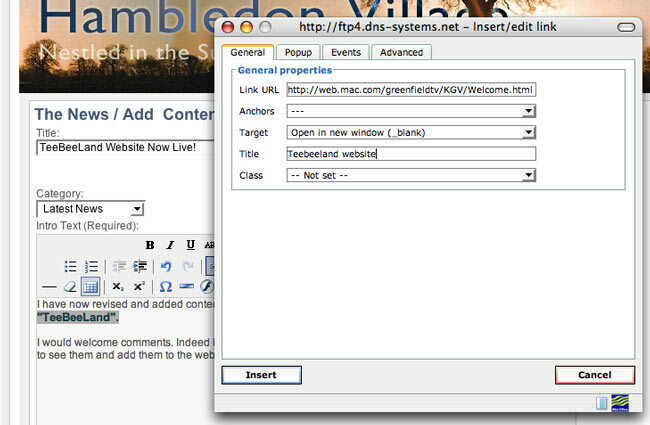 ...then Fill in the URL (web address), "open in a new window", and put a title. Press insert. If you are feeling confident, try this. During the process of submitting your news you can add images in the Intro or Main text boxes. Click on browse and find the image you want to upload in folders on your PC. The website system will resize the photo to 200x200 size. ( Important - you should ensure the images you wish to upload are less than 1Mb in size and have only LOWERCASE letters in the filename. ) Then Click save. To rejig the position or caption the photo, click the Edit icon. You willo see your text and a photo place holder [MOSIMAGE] which can be moved by you to place it where you desire amongst the text. Go to the bottom of the page and see the IMAGES Tab to change the photo options. You will find your photo file name in the second verticl panel - highlight it, and then change the attributes in the 3rd vertical panel - remember to click APPLY at the bottom, and then Save at the very top of the page before exiting to review your work. OR you can insert images/photos/icons already provided by the webteam. Again, place the cursor and click Insert Image - this will put an [mosimage] marker in the text. Then search in the Images pane at the bottom in the sub-folder marked USERS for an image. Highlight the image, move it to the right hand panel with the >> button, highlight it again, and click apply at bottom, and then Save. Remember, it is best to use Icons 100x100 for News. 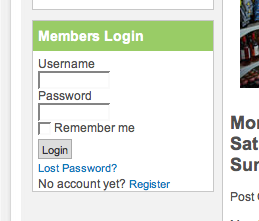 Log In with your username and password on the home page. Click on the album in which you want to put your photos. Click on "browse" and navigate to the folder on your PC hard drive that houses the photos. Click the photo you want. Then Click Upload. That will take some time to upload the photos from your PC to the website. Please feel free to join in and post to this Hambledon Community Forum. If you are unsure and have a photo to add, contact the webteam and we'll scale it and insert in the article. contact us page . Then change the category from the menu - it will currently say Shop News or News - Change it to "Archive News". Now when you go back to the Shop News page, the news item will have gone. It won't have been deleted, it will simply have been archived away from public view. This website uses a special flexible template that should be compatible with all popular PC Web browsers, such as Internet Explorer, Firefox and Safari. If you have problems with the way the site is displayed, or some content does not work, then please notify us. We would recommend that you keep your PC upto date with current versions of Flash Player 7 (needed for some external links but not this site).